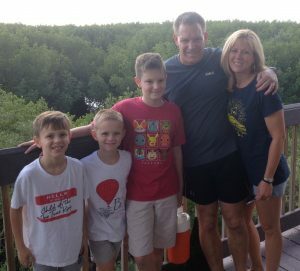 About ten years ago, my husband and I had the great pleasure of being a part of a Sunday school class that covered the Bible in a year. It was a whirlwind of information. One thing I remember our dear friend, Tim (who was teaching the class), doing was holding up a red silken rope at the end of each class to point out where the scarlet thread ran through that day’s story. My husband and I would look at each other completely confused. What was the scarlet thread? 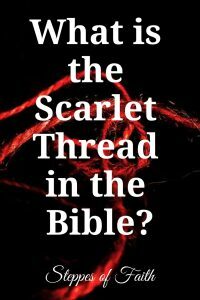 The Bible talks about scarlet threads or ropes in a few places, but the bigger idea of a thread running throughout the Bible, something that connects everything, is about so much more than a physical piece of cloth. One of the places we read about a scarlet thread is in Genesis 38:27-30. Judah, one of Jacob’s sons and brother to Joseph, was married to Tamar who gave birth to twins. One twin stuck his arm out of the birth canal, so the midwife tied a scarlet thread around its wrist to help Tamar know which one was born first. Technically, Zerah was born first, but because Perez was the first to come out of Tamar completely, he was the one who was called firstborn. And it was through Perez’s family that Jesus was eventually born. A scarlet thread is also mentioned as being a part of both the high priest’s ephod and the temple’s curtains (Exodus 26:1). No one knows for sure what the different colors of threads used in the temple signified, but it’s evident that scarlet represents blood. It’s true that the scarlet thread signifies blood, but not just any blood. It more specifically points to the prophecy of Jesus’ work on the cross and the blood He shed for our sins. 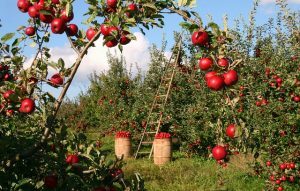 The plan of redemption was already in motion even before Adam and Eve ate the apple. God didn’t want to be separated from His finest creation, but He couldn’t (and still can’t) tolerate sin in His perfect, holy presence. Because God is life and the penalty for sin is death, only a perfect sacrifice could reconcile us to Him. So, He sent His only son to be the perfect blood sacrifice that would pay the debt of sin eternally for all of us. We see the scarlet thread again with Abraham and Isaac when God commanded Abraham to sacrifice his son (Genesis 22:1-18). Because of Abraham’s obedience, God spared Isaac’s life, and a ram suddenly appeared nearby, one suitable for sacrifice to the Lord. The ram’s blood was shed to save Isaac’s life. Because God provided a lamb to Abraham, he named the place on Mount Moriah “The-LORD-Will-Provide,” which is where the Hebrew name “Jehovah Jireh” comes from. 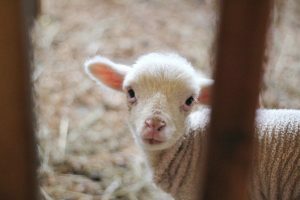 Later, God would provide another lamb, a perfect lamb, to be the perfect sacrifice to away the sins of the world (John 1:29). Another example is in Exodus 12 when the first Passover was instituted. 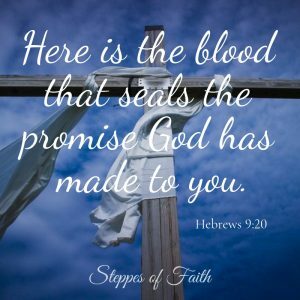 God told Moses to tell all the Hebrews to sacrifice a spotless lamb and put its blood on the door frames of their houses as a sign that believers were inside. When the Lord passed through the land and saw the blood, He would “pass over” those houses and spare them from death. Again, we see how the blood of a lamb protected the people from death and how it foreshadowed the coming of our Lord Jesus Christ. Probably the best story that explains the scarlet thread is in Joshua 2:17-20 where Rahab the harlot hid Joshua and two other spies from the king of Jericho. The king immediately began searching for them because they knew the Israelites were coming to take over the city. 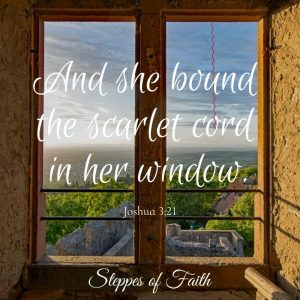 Before Joshua escaped, he made an oath to protect Rahab her household if she kept a scarlet cord in her window. She kept her oath, and the Israelite army spared her family from the utter destruction her city endured later when the walls fell (Joshua 6). 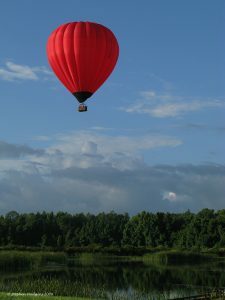 God protected Rahab because she believed in the power of the scarlet cord. Just as the Hebrews covered their door frames with blood, Rahab covered her house by putting the cord in the window. Through her faith, God saved her just as our faith in Jesus’ blood saves us. Every instance of the scarlet thread leads up to Jesus’ death on the cross. It was there the prophecy of His coming and sacrifice were fulfilled. That means the forgiveness of sin is no longer dependent on the shedding of blood. Hallelujah! The scarlet thread runs through every book of the Bible. 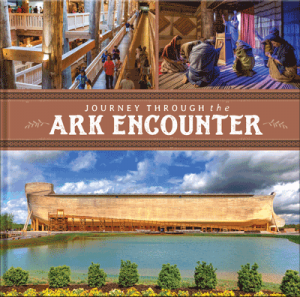 It’s a great adventure to trace the story of God’s redemption plan every time you read it. 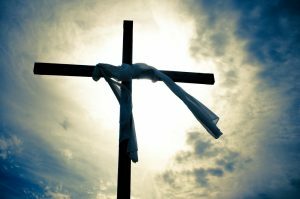 Jesus’ death on the cross is the foundation of every Christian’s faith. Without Him shedding His holy blood to pay our debt of sin, we would have no hope of heaven. But thanks be to God we have been redeemed! What a beautiful reminder! Thank you so much for this explanation, I will be passing this along! A very interesting post, there was one of those places I had not remembered. So glad I could bless you, Sandra. Thanks for reading. Sometimes we all need that reminder, don’t we? God bless you, Bridget. Thanks for stopping by. Thanks, Harmony! It’s all about Him, always. God bless! I love all of the reminders and symbolism of Jesus’s love and sacrifice for us throughout the Bible. It’s truly beautiful, isn’t it? Thanks so much for reading, Teri. God bless! I’m so thankful Jesus blood paid the cost for me, what it all means will I ever grasp it all? “It is finished” remains to be seen. I agree, it’s hard for humans to understand the vastness of God’s love for us. I believe His work of redemption is finished, but He’s not finished with His other work. I believe the best is yet to come. Thanks for stopping by and God bless! Amen! I would have never come across this post if it wasn’t for God, thank you Jesus for all that you do and all that you continue to do for us. Amen and Amen! God bless you, Marisol. Thanks! I appreciate the keen eyes. I’ll make the correction.